Maag, a worldwide leading manufacturer of gear pumps, pelletizing and filtration systems, and pulverizers for demanding applications in the plastics, chemical, pharmaceutical and food industries, showcased at PLAST Milan from May 29  June 1 2018. 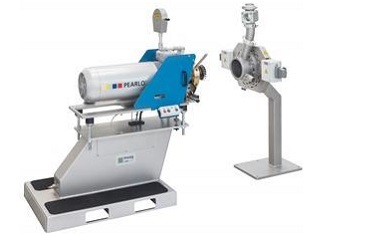 PEARLO® Underwater Pelletizer: The high-performance underwater pelletizing system from Maag for making spherical pellets. It combines technologies from Gala and Automatik for efficient and flexible use in challenging applications with throughput of up to 36,000 kg/h. Compact and modularly designed, it requires only a very small footprint in production. Electronically controlled EAC technology guarantees precise feed of the pelletizing knives during operation, thereby ensuring long runtimes free of interruptions with consistently high pellet quality. extrex® x6 class Gear Pump: This new and unique melt pump design delivers the needed volumetric efficiency at the highest counter pressures and with the lowest amount of shear stress. This results in a reliable and gentle transfer, boosting and metering for a wide range of thermoplastic polymers, with no adverse effects on product quality. EBG Belt Conveyor Pelletizing System: The belt conveyor pelletizing system EBG is specifically designed for the compounding of water-sensitive or highly filled (> 60 %) or fragile products. One of its advantages is the easy handling for start up and line cleaning because of lightweight design and mesh belt quick exchange. It is perfectly dedicated for production of brittle highly filled compounds because of reduced stretching and stress on strands and active conveying from extrusion die to pelletizer intake. The belt system prevents strand breakages by continuous take up without any strand deflection.